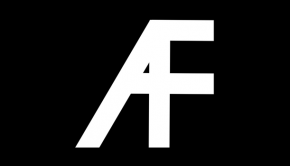 Filthy Pedro presents an evening of Antifolk, lo-fi, indie folk and punk poetry to celebrate the festive season. 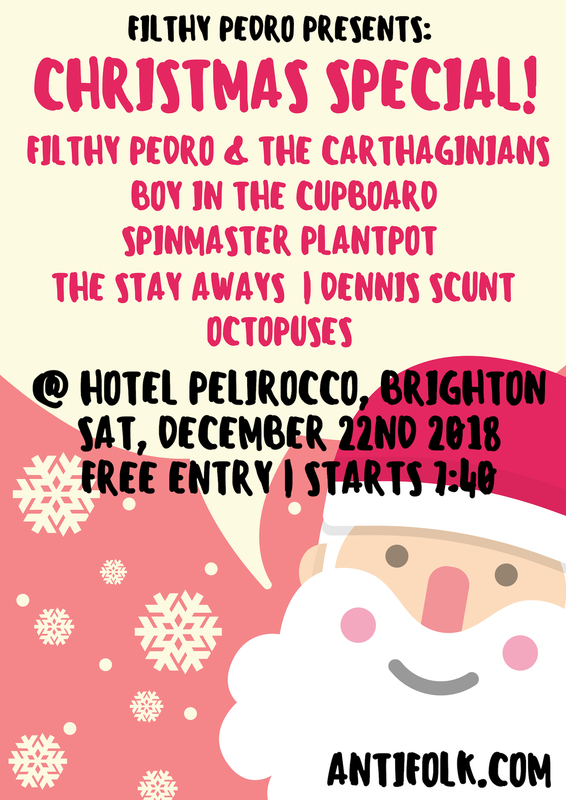 Sat 22nd December at the Hotel Pelirocco in Brighton. Free entry. What better way to celebrate the darkest day of the year and a fictional birthday than to head over to England’s most Rock n Roll Hotel for a night of musical debauchery. 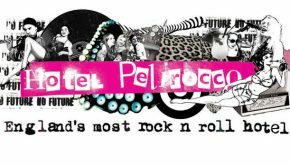 Hosted by Filthy Pedro, the evening features some the of best bands from the Brighton underground. Filthy Pedro and the Carthaginians feature a new line up, with Oliver Fist and Gazikstan joining Filthy and Jack Medley (Jack Medley’s Secure Men) for the first time. 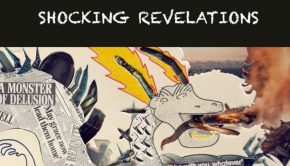 Featuring Antifolk stories of history, hedonism, personality disorders and being kicked out of Anglesey. Brighton’s Boy in the Cupboard is a quirky indie folk combo, who reflect on the ennui of modern life through gypsy inspired, double bass powered Iberian guitar styling. Creeping into Brighton like Krampus after your presents is Keith Lemon favorite Spinmaster Plantpot (AKA Mad Paul). 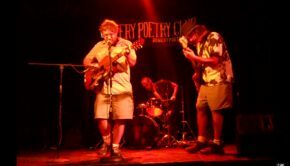 His infamous Punk Poetry performances have made him a favorite on the London underground scene for years. Newly located to this seaside paradise are The Stay Aways, a dreamy, anti-pop three piece who perform songs with the simplistic beauty of a chocolate coin at 7am. Dusting off his guitar due to popular demand, Brighton Antifolk stalwart Dennis Scunt returns to the fairylights with more three chord flavoured observations on life. Another Brighton band we haven’t see for a while returns, as Octopuses bring their brand of alt indie dance to the Pelirocco. Guaranteed to make you feel warmer than the thickest Christmas jumper ever made. Saturday, 22nd December 2018. Music starts at 7:40, but bar will be open most of the day. Bar closes at 3am.